This is an abridged version of this grow journal. Many of you have been writing in with questions about growing marijuana with LED grow lights. As you may know, GrowWeedEasy.com covered LED grow lights about a year ago with Endive, today's guest writer. 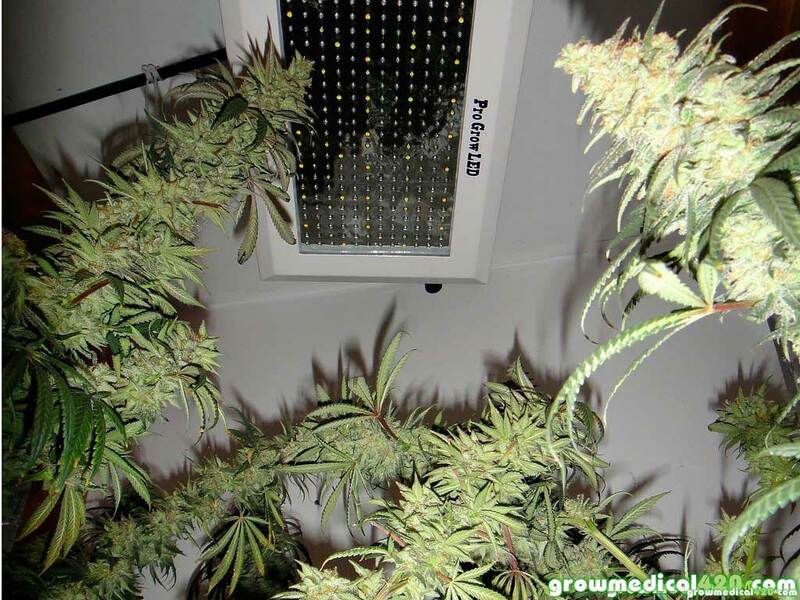 Endive has graciously allowed us to republish one of his most recent grow journals with the Pro-Grow 550 LED light. You can see all of Endive's LED grow journals on his website growmedical420.com. And without further ado, enjoy…. The ample lighting from the Pro-Grow 550 penetrated well enough to catch the lower, outer cola tips. Inner buds that did not get the direct lighting were thankfully few, but very small. Not the wrist thick colas like the X5-300 LED produced, but damn fine! I left the small inner buds on the branches till the last cola was removed & manicured. From there the small buds were trimmed and thrown into the hash box to dry. 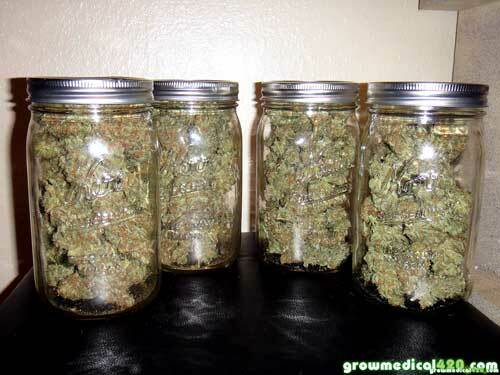 After the buds were cleaned up, I weighed the buds and placed them into curing jars. At the weighing, I was the pleasantly surprised with the total – 167 grams of trimmed bud total, or 5.8oz! The colas closer to the light were noticeably thicker with rounded tops as opposed to lower ones which formed narrow “spear-tipped” colas & buds. The lower buds and colas are still beautiful, but the tops are far more impressive as far as weight / yield than I first thought they would be. Afghan Kush’s lower colas were narrow, yet still rock hard with trichomes for miles! The final weights were taken prior to the buds going into curing jars. I was very curious to see how the Afghan would stack up against the Critical Sensi Star that finished at 167 grams of prime, manicured buds. From looking at her, I figured on the Afghan hitting just over the 4 ounce mark, maybe… I was very pleased with the final weight! The PG-550 uses 470 watts actual﻿ draw and I'd put it up against my 600 watt HPS any day. If you take into account the “75 watts per square foot” rule for how much light you need for your marijuana grow, it dictates you’d need 1500 watts of HID to cover the same area as the area I covered with a single PG-550 LED grow light. That’s roughly .68 grams per watt, in soil, without supplements, no CO2, and at 23 watts per sq ft.! This light made hardly a blip on my electricity bill! I am a legal, medical cannabis patient and grower in the state of Oregon. Long story short… After many trial and errors with pain treatment for a degenerative cervical condition, I came to trying cannabis as a therapy for control of pain and nerve/muscle spasms at the suggestion of a relative. After much research, I was truly amazed at the medical and healing properties of marijuana. Free Yourself – Get Educated! Don’t give in to the notion that pharmaceuticals are safer. And if you find medical marijuana is right for you, remember that you need not be held ransom to pay dealers and dispensaries for quality meds. Honestly, if I can do this, anyone can. LEDs are getting better and better every year. A few short years ago, they were a brand new technology in grow lights, and it's continuing to look like they are set to become the grow lights of the future. If you’re willing to invest in a quality brand LED light like a Pro Grow, you're buying from a company who specifically serves the medical marijuana community, and actually tests their lights on marijuana plants. As you can see from the results Endive is getting (and this is just one of his grows, he has dozens of grow journals on his website growmedical420.com) the Pro Grow LED grow lights are giving many HPS growers a run for their money. At this point in the game, I still recommend getting an MH/HPS grow light combo if the initial price tag of quality LED grow lights is too much for you. 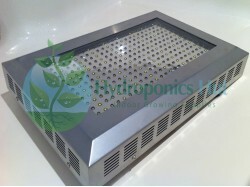 MH/HPS grow lights will give you consistently great yields and cost considerably less than LEDs. I don't recommend trying to save money with cheaper LEDs as many cheap LED grow lights out there just aren't built to work for a high-yield flowering plant like marijuana. If initial cost is not a concern, and you want to experiment with the power of LEDs (which will give you potent buds with a unique aroma) or if heat and electricity usage are big concerns, than you may want to learn more about modern LED grow lights for growing cannabis.